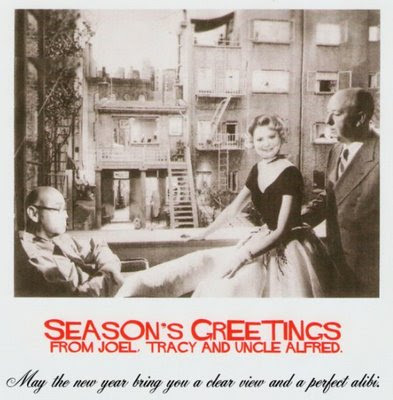 Happy Holidays to all Hitchcock Geeks, Fans, Scholars and Enthusiasts! Here wishing you, your family, and friends the best this holiday season too!...and Thank-you! for being a "special guest" on my blog and most importantly!... for being generous with your time and letting me have access to your writings about director Alfred Hitchcock this month. J.G., I really like your holiday card! very "unique" and very "cute! "...I am quite sure even Uncle Alfred, would have even appreciated and approved of it! Thanks so much for dropping by. It has really been my pleasure to visit your blog and to get to know you better!